I think gambling is great fun… especially that game so indelibly etched in the Australian psyche: two-up. Yet it has always struck me as an injustice (and a belittling insult) that although two-up is illegal 364 days of the year, clubs and casinos are permitted to profit from the loss and misery of the Australian public while lining the pockets of billionaires and their political accomplices. For me, this year’s Anzac commemorations have struck a careful and beautiful balance between the parochialism of nationhood and honouring the human sacrifice of an entire generation of innocent Australians. That we as a nation can stand in solidarity to uphold the memory of our Anzacs with deep respect and at the same time acknowledging that WWI was simply a result of an insidious disaster of international politics is an inspiring tribute to the character of our modern nation. There was nothing great about The Great War except for the bravery and brevity of the lives that were its cost. Historically, two-up has been a game for the poorer classes. It was played by the English and Irish in the 18th century and was also a popular game in rural Australia among miners and shearers. After spreading across Australia during the gold rushes it was inevitable that Australian troops would bring it to the bloody shores of Gallipoli and play it in the trenches. “Two-Up has been declared an unlawful game under section 7(2) of the Unlawful Gambling Act 2009 (the Act). However Part 4 of the Act allows for an ‘exempt two-up game’. An ‘exempt two-up game’ is one which is played on 25 April only AND where the following conditions apply: The owner or person in charge of the place where the game is conducted has given permission for the game to take place. According to The Australian National University, Australians lose more money gambling per person than any other nation in the world. During 2012-13, ACT gamblers lost over $16 million playing the 271 pokie machines at the Canberra Labor Group’s network of clubs. 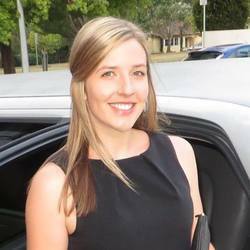 Of that $16 million, $4.2 million was directed to the ACT Labor Party. But proceeds raised by Australian gamblers are not only restricted to the Labor Party with donations to the Liberal and National parties from Clubs NSW and the Australian Hotels Association peaking at $1.3 million in the final quarter of 2010. According to researchers Francis Markham and Martin Young, Australian gamblers lost over $20 billion in 2011-12 (excluding losses on overseas websites). The average Australian gambler loses $380 per year and the average “problem gambler” loses $12,000 per year which accounts for 40 per cent of the total money lost on poker machines. It is therefore patently clear that Australia’s gambling industry is reliant on problem gamblers. Australia’s current debate regarding problem gambling is a farce. Recent proposals to curtail the amount of money that people are allowed to gamble are unworkable and place unnecessary infringements on an individual’s liberty. Instead of diminishing the rights of citizens to do what they want with their money, why don’t we increase our freedoms? Why don’t we legalise two-up? Two-up is fun. It inspires a revelry unique to the Australian spirit. Legalising two-up would decrease the profits that flow to billionaires and political parties and keep money in the pockets of ordinary Australians. The ACT should legalise two-up; I don’t think our diggers would disagree. 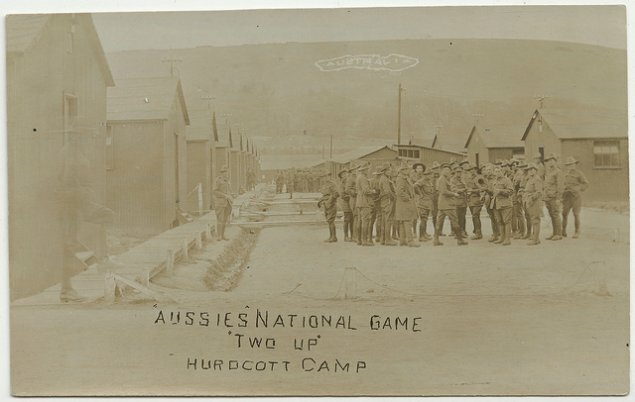 Photo: Aussies National Game, Two up, Hurdcott Camp. Used under Creative Commons via State Library of South Australia. Should two-up be legalised in the ACT? 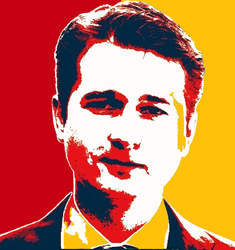 Great opportunity for the ACT Labor clubs to take it on. It would supplement the loss of income from the poker machines they are forfeiting. …to flog off the land that they were granted for “community use”. I’m pretty cynical about that too and I’m pretty cynical of poker machines too. Anything that could be more fun and less dangerous why not? Yes, but a part of that fact that people choose to play two-up is entirely a function of the game being fun! A small fee or advantage to the house would be fine. Two-up is much more fun than playing a slot machine. Two Up requires people to throw the pennies, hold the money etc. The person that spins the pennies in two up is the spinner, the spinner is a punter. There are also punters around the outside who are also betting. The spinner picks heads or tails and needs to get three of their pick to win the money. The side bets are for each spin. Or it is just a reflection that two up is only available currently on one day a year, and hence its probably pretty challenging to get addicted to – given you have to wait 364 days for your next hit. It’s the addiction to gambling (of any sort) Stephen, not the method. If two-up (or fan tan, or baccarat, or any other game for that matter) was the only game allowed there would be addiction to it. As for the status quo, gambling is legal so people have a choice. Unfortunately, taxpayers have to pick up the tab to pay for the support services needed when the choice becomes a bad one. Good onya Stephen…let’s give another outlet for the problem gamblers and an increased revenue stream to those who will make ever greater profits from them (all politicians and wannabees included here). If people were playing two-up instead of sitting in front of slot machines, they’d be having more fun and losing less money. It would be worth a try because what we’re doing at the moment isn’t working. 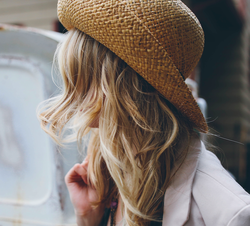 I’m just thinking creatively about a serious problem. I take it that you’re happy with the status quo. This will mean an industrial award, workers comp. etc, and membership of a trade union. Poker machines are profitable partly because they cost nothing while they are fleecing the weak. Lots of things are illegal yet people become addicted to them. The point is that two-up isn’t as harmful as putting your fortnightly pay into a slot machine which are designed to be addictive. Nice photo…it was taken at Camp Hurdcott, Fovant, near Wiltshire in SW England where Australian soldiers were billeted, trained and hospitalised from 1914. According to the Australian War Memorial, Australian soldiers cut large badges and emblems into the white chalk hills. Most of these were created in 1919 when Hurdcott Camp, and others, was used as a staging post for Australianj soldiers on their way home. The AWM supports the maintenance of these carvings. Interesting perspective, Steven. If two-up was legalised we’d potentially lose a great Anzac Day tradition. I like not playing two-up on any day except Anzac Day, and I like that it has special meaning on that day too. In any event, it’s a case of pick your battles for me. While it would be nice to not live in a nanny state where the government dictates how I spend my money and lets me fritter away thousands of dollars on gambling, I think there are more important issues that the ACT Government should look to tackle first. Thanks for your comment Dame Canberra. I agree with you to a great extent – it certainly isn’t a subject that keeps me awake at night and there are plenty of more pressing issues for the ACT to contend with. However, I am demonstrating some consistency in my political reasoning. No matter how insignificant an issue may seem, I will support people’s liberty to choose what they do with their lives rather than governments taking that choice away. When it comes to issues of choice, the question shouldn’t be: how much does this affect me? The question should be more along the lines of: why are Australian legislators such conservative control freaks? That last line exactly. 100 percent agree. Is that white “Australia” some sort of watermark on the photo, or was the map/word scratched into the hill beyond the camp like that giant White Horse in Britain? Hey Switch, I believe it’s part of the photo. The image description from the State Library of South Australia (where we got the image from) is a bit vague but describes the “Australia” text as follows: “On the hill in the background there can be seen an outline of the word ‘Australia’ within a drawing outline of the Australian continent”. Illegal gambling = income for criminals + the consequences of gambling for the gamblers. Not a good idea.